The Taoli World Dance Competition is created by renowned dance educator, Professor Pan, Zhitao, who was also founded the original Taoli Cup in China. Organized by Pan America Chinese Dance Alliance (PACDA), one of the most important goals of the Taoli World Dance Competition is to discover and cultivate new talents. 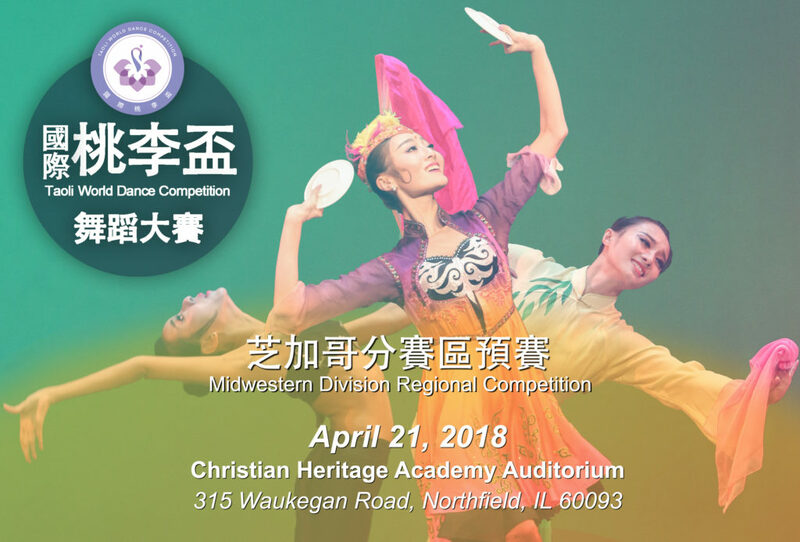 Additionally, the competition also serves to showcase the achievements of dance instructors in both the United States and China, promote higher levels of teaching and performing, stimulate new dance creations, and propel dance development in all over the world. The panel of judges that has been assembled for this competition include some of the most celebrated artists in the international dance community. Under their observation and guidance, the contestants can express themselves to the fullest. Through their dance, the contestants can tell stories of life’s ebb and flow, convey desires for happiness, and celebrate progress and development of harmony in the world. Selected dances of the regional competitions will advance to the final competition. Award winning dances and groups will have opportunities to be invited to join the national and world tour. Compared to last year’s competition, this year covers even more ground. There will be seven regionals in North America and anyone can participate. Whether you are a casual lover of dance or a well-trained professional, a graceful adult or a vibrant child, as long as you dance full of passion and love, then the Taoli Cup can be your stage. A more luxurious mentor line-up, a more beautiful atmosphere, a more personalized service, this competition is bound to be amazing. Registration has already started and we invite every one of you to join us in this sure to be inspiring experience.